December 26, 2013 at 2:46 p.m. The lights came on around Thanksgiving (if not sooner) and will stay up for another couple of weeks, but after the usual build-up and anticipation, Christmas has come and gone. Just like that, weeks worth of picking, purchasing and wrapping presents is now a thing of the past – at least for another 300-plus days. I hope those of you who celebrate the holiday had a wonderful day with friends, family and loved ones and that, sprinkled in there among the gifts, goodies and overeating, you had an opportunity to remember the true meaning of Christmas. My moment came in the form of a gift from my aunt, who, in honor of my late uncle (who passed away one year ago) paid off the layaway bill for several families in the Denver area. She then wrote a letter to each of us in the family and explained that the families had been taken care of in our honor and through my uncle's inspiration. He once did that for her gift, years ago, and she always said it was one of her favorites. 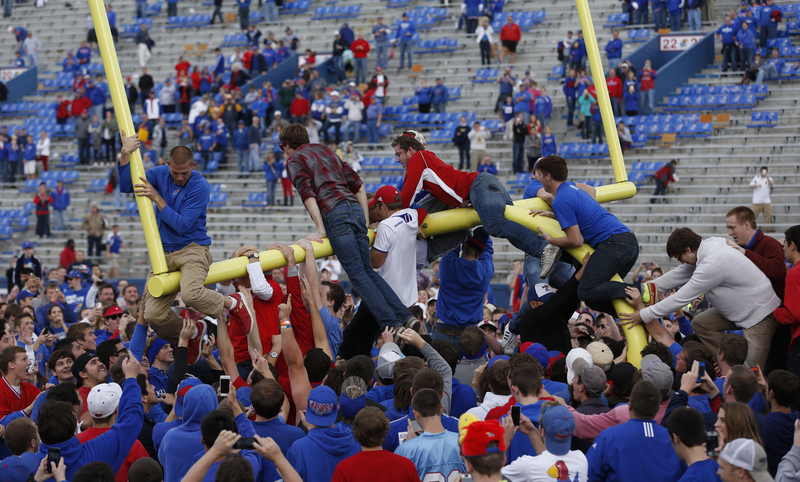 Anyway, in keeping with the theme of great gifts, here's a quick look back at the top 10 moments given to Jayhawk fans during 2013. Enjoy! And, once again, Happy Holidays! 1. 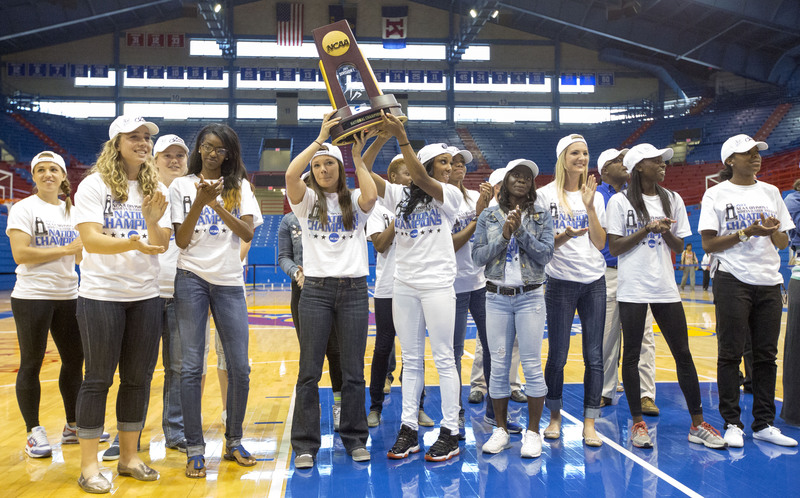 Women's track and field brings home a national championship — There are tons of good things on this list and most of them drew a lot more attention than this, but it'll be hard to argue with putting this No. 1 because hanging banners is what it's all about. The women's track team, which was loaded with talented athletes and wonderful people, dominated in Oregon last spring and brought home a trophy that inspired a billboard on I-70. Big-time stuff. 2. Andrew Wiggins picks Kansas — Recruiting is no joke around these parts and the day of Wiggins' announcement was full of the usual bag of mixed emotions. Many feared he would pick Florida State, North Carolina or Kentucky. Others were certain he was Kansas-bound. When the time came for Wiggins' announcement, he told a gym full of supporters in Huntington, W.Va., that he would play his one season of college hoops in Kansas. It's been a Beatles-esque run of Wiggins-mania since then and the 6-foot-8, 200-pound Canadian forward currently leads the Jayhawks in scoring at 15.5 points per game. 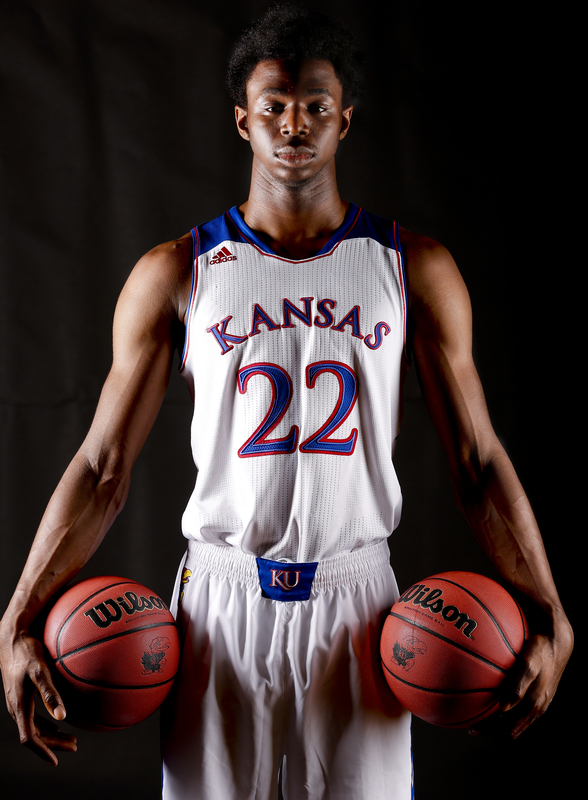 Wiggins was merely the headliner of a class that included Joel Embiid, Wayne Selden, Brannen Greene, Conner Frankamp and Frank Mason. It also should be pointed out that the recruiting crazies went nuts again in November, when top-five big man Cliff Alexander picked Kansas. 3. 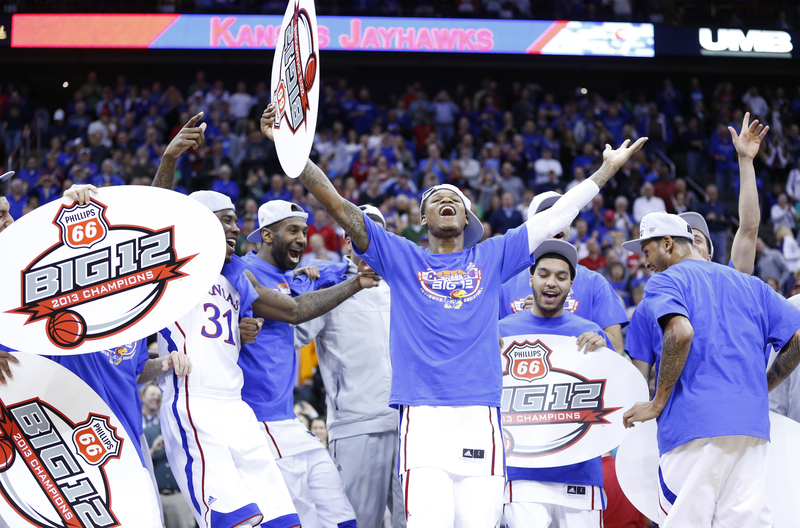 Make it 9 straight Big 12 titles for Bill Self — The unprecedented streak of consecutive Big 12 regular season titles continued in 2013, as Self's Jayhawks held off serious charges from Oklahoma State and Kansas State to win it again. Just in case anyone disputed whether the Jayhawks were really the champs, KU went ahead and won the Big 12 conference tournament title, too, dispatching K-State for the third time in the semifinals to put the icing on the cake. 4. KU football snaps conference losing streak — After 27 consecutive losses in Big 12 play, a streak that dated back to the 2010 season, the KU football team finally broke through with a dominating, 31-19 victory over West Virginia at Memorial Stadium in November. The victory set off a wild celebration on the field between the players and the fans in the stands and, as is customary with big wins, the students ripped down the goal posts and sent them swimming in Potter Lake. 5. 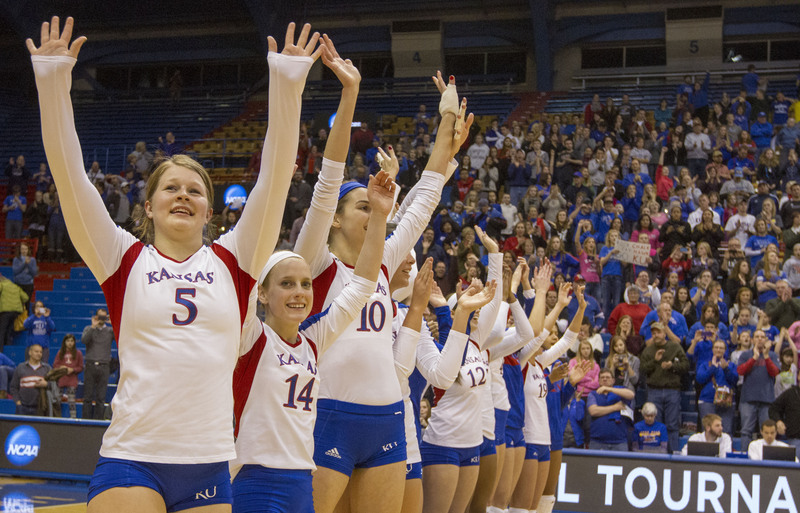 KU volleyball makes 1st ever Sweet 16 — Inpsired by the disappointment of getting so close and coming up short last season, a senior-heavy KU volleyball team finished second in the Big 12 Conference for the first time ever and followed that up by winning first- and second-round matches at Allen Fieldhouse to advance to the Sweet 16 in Los Angeles. Although the run ended there, this team, which featured All-American Caroline Jarmoc, Big 12 setter of the year Erin McNorton and Big 12 coach of the year Ray Bechard (who won the honor for the second year in a row), will likely be remembered for a long, long time over at Horejsi Family Athletics Center. 6. Sweet 16 times 2 for KU hoops — For the second year in a row, the Kansas basketball programs each reached the Sweet 16, with the men falling to Michigan in a heartbreaker and the women getting back to the Sweet 16 for a second time after being one of the last at-large teams put into the tourney field. 7. Another No. 1 seed for the KU men — Despite their shocking loss to Michigan, the men achieved a heck of an accomplishment at the Big Dance's outset when they earned a No. 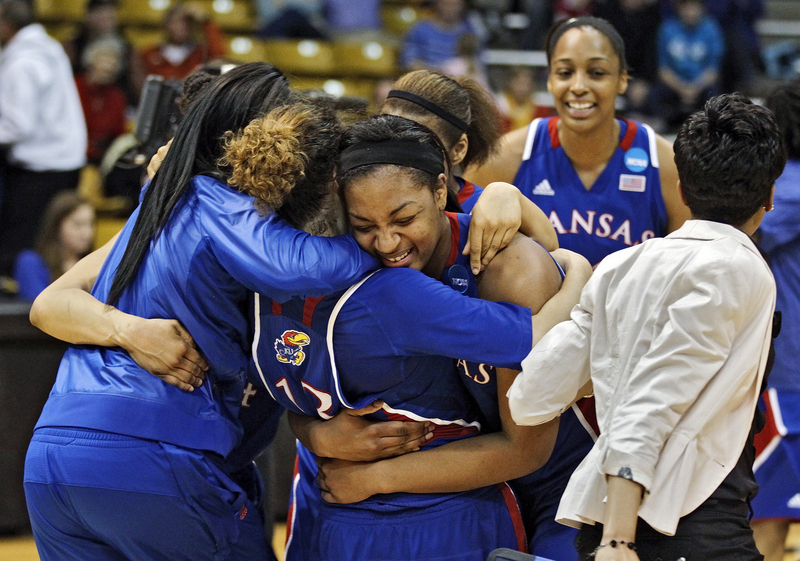 1 seed for the 11th time in school history and the fifth time in 10 seasons under Bill Self. 8. 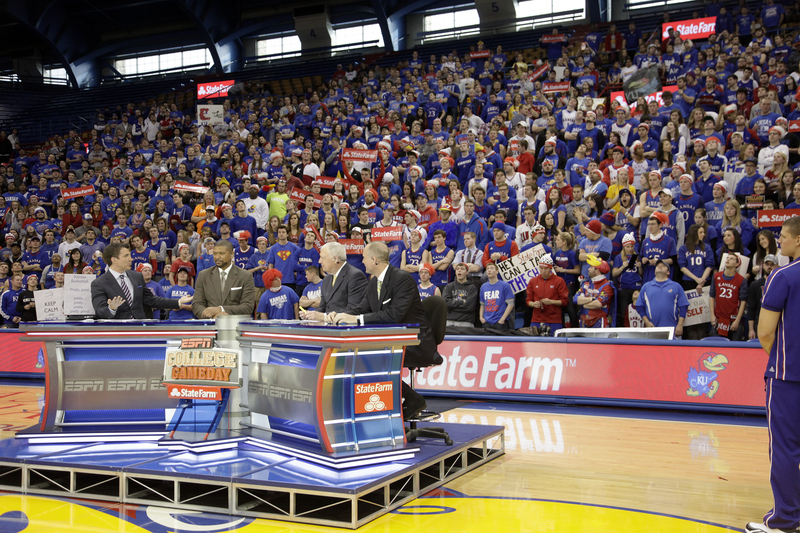 Tier-3 TV deal puts KU in more homes — Although it produced some anger locally, KU's partnerships with Time Warner Cable and ESPN3 brought to homes across the country 70 live KU events, more than 600 hours of shoulder programming and several pre- and post-game shows highlight KU sports. 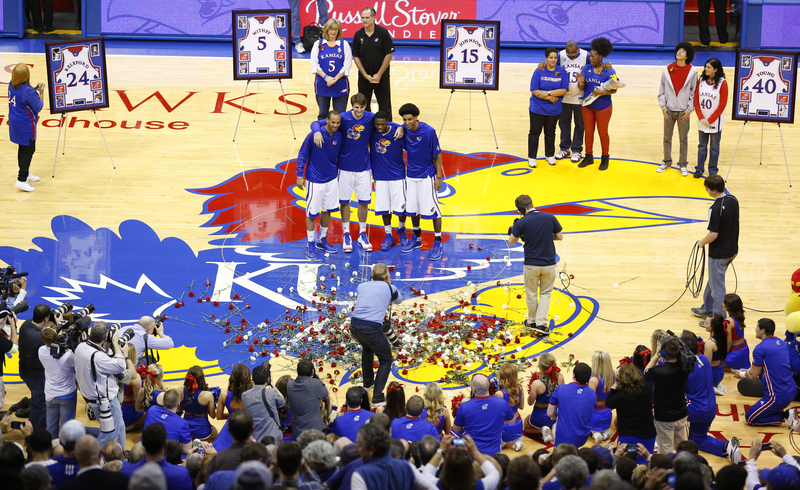 “This is the backbone of providing Jayhawk fans with access to all of our sports in a way that they've never experienced before,” athletic director Sheahon Zenger said of the deal. 9. 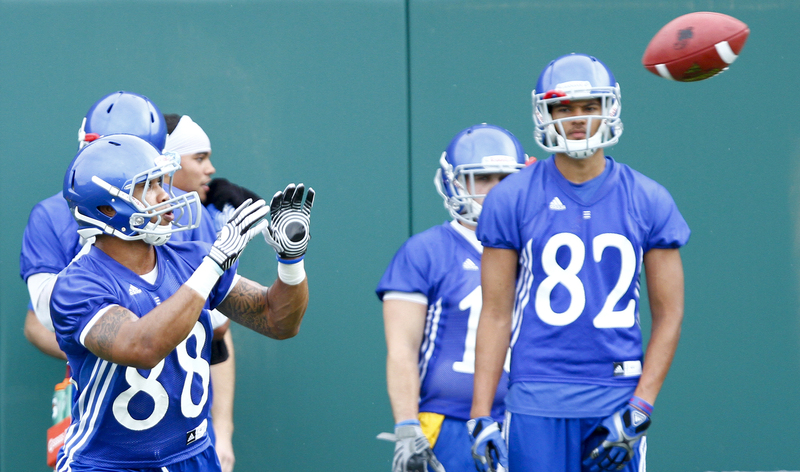 KU football lands more transfers — In May it was Nick Harwell, the all-time leading receiver in Miami (Ohio) history who said yes to KU coach Charlie Weis. And just last week it was Florida tight end Kent Taylor. Weis' experience and coaching pedigree continue to attract big-time talent and, although the ones who have made their way to Lawrence thus far have not been stars, it might just be a matter of time before a few of them pan out. 10. Professional Jayhawks continue to make noise — Whether it's Gary Woodland on the PGA Tour, Chris Harris with the Denver Broncos or a record number of former KU basketball players in the NBA, 2013 was a good year for Jayhawks on the professional map. Woodland won a tournament title again, Harris is a key part of a defense on a team with the best record in the NFL and others like Ben McLemore (Sacramento Kings), Aqib Talib (New England Patriots), Darrell Stuckey (San Diego Chargers), Xavier Henry (Los Angeles Lakers) and many, many more are doing their part to represent their school well at the highest levels. I remember when Xavier Henry was an NBA bust. Now look at him. Would it have been better to stay at KU? Well, I can tell you that he would have made a lot less money developing at KU than he made developing in the NBA. If you can get to the league early and maybe struggle a little but then get going, it might be worth it. You just have to make sure your game is to a point where you can stay on someone's roster, see Josh Selby. Doesn't hurt to be on a team that features a system in which you can excel also. Or to be on a team which, riddled by injury, has ample playing time for players who may not have otherwise received playing time. But lots of credit to X. He is certainly capitalizing on an opportunity to demonstrate his versatility and skill. His play this season has probably all but guaranteed him a long tenure in the League. Xavier's development is uncharted for most collegiate athletes. As you will well recall, Carl Henry had both of his sons in a pro-style training regimen long before they entered college. I doubt that regimen has changed much from high school to the NBA for Xavier; it was engineered to be in a professional mold from the outset. Xavier's development probably has less to do with skill set and MORE to do with experience, which is atypical for most collegiate athletes entering the pros who have to conquer BOTH. Some make this transition better than others due to mental attributes and/or very rare athletic gifts. However, Xavier really only had one of those mountains to climb.